On a moonless fall night in 1965, six U.S. Military Academy Firsties (senior cadets) kidnapped Billy XIV, the Naval Academy mascot goat, from the Severna Park Naval Security Station in Maryland. To do so, they violated federal laws and the rules of the two educational institutions involved in the caper. 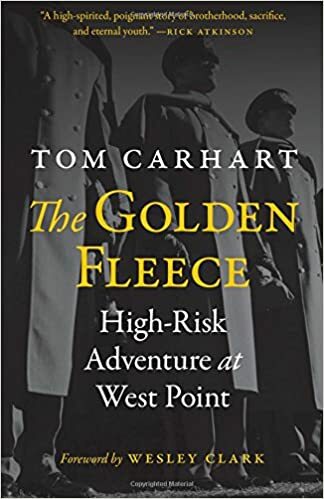 Tom Carhart, one of the Firsties, relates the planning, execution, and outcome of the event in The Golden Fleece: High-Risk Adventure at West Point (Potomac Books, 224 pp. $26.95, hardcover: $25.60, Kindle). Spoiler Alert: The Firsties were caught but suffered practically no punishment. In fact, the West Point student body and faculty deemed the six men heroes. The kidnappers—Bob Lowry, Art Mosley, Deme Clainos, Mike Mewhinney, Mike Brennan, and Carhart—all survived tours of duty in Vietnam. Only Brennan made a career of the Army. Carhart likens their theft of Billy to Jason’s quest for the Golden Fleece, and assigns roles accordingly in the book. He uses heavy doses of recreated dialogue, which makes the story read like a novel. Actually, the book contains two stories. Along with explaining the kidnapping, Carhart tells tales of life at West Point. The parallel story line is every bit as entertaining as the kidnapping. It emphasizes high jinks committed by the six Firsties while providing a study of privileged young men destined for combat in a rapidly changing world. Carhart was wounded twice in the Vietnam War. After leaving the Army, he earned a law degree and a doctorate in American and military history. Sharkbait by Guy S. Clark, M.D. At the age of twenty-eight, Guy Clark went to Vietnam as a U.S. Air Force flight surgeon. During his 1966-67 tour of duty, Clark flew more than eighty-six combat strike missions in the back seat of the F-4C Phantom and kept a daily journal. Sharkbait: A Flight Surgeon’s Odyssey in Vietnam (Weeping Willow, 628 pp. $42.50, hardcover; $3.03, Kindle), which overflows with Guy Clark’s exuberance for flying and appreciation for knowing the skilled and courageous pilots with whom he faced death, is based on that journal. The fifty-year delay in transcribing his journal has not blunted Clark’s opinions. From June 1966, for example, Clark (the medical director of The Osteoporosis Institute and The Arthritis Institute of Santa Barbara) recalls that he had reached “the high-water mark in my lifetime search for adventure! Life is exciting!” At that point, he still had eleven months to go in Vietnam. To gain a more complete picture of the war, he opted to fly to small and remote outposts by hitching rides in what he calls a C-130 “cattle box car” and other aircraft. Once he flew on an AC-47D Spooky gunship during a strike. In counterpoint to his enthusiasm for dropping bombs and napalm, Clark also writes of his disgust for war, coupled with compassion for those who lose their lives as a consequence. Beyond his flying stories, Clark establishes himself as a war observer who is distraught by everything going on around him—except for people who cater to him. At the same time, he maintains a mental detachment through devouring books he always wanted to read and by writing his journal and letters to his wife. Clark describes what he saw and did while stationed at Cam Ranh Bay practically down to each heartbeat of each event. His writing recipe demands details and more details based on his experience, historical facts, quotations (including words from Leonardo da Vinci, Lenin, and Churchill), and random dashes of poetry. He stirs together insights from nearly every day of his year in Vietnam. The result is a memoir that gives readers an opportunity to learn more than they ever expected (or perhaps wanted to know) about F-4C Phantom and Air Force operations, for starters. Among other topics, Clark covers wasteful military practices, governments, shrews (the animal), the Vietnam War’s purpose, revolutions, lepers, the Air Force and Navy’s work with ground forces, William Faulkner, danger, and personalities—to name a few—along with many admonitions. His breadth and depth of explanations reminded me of the old joke about the guy who tells you how to build Big Ben when you only want to know the time of day. Fundamentally, he searches for truth but understands the difficulty in finding it. In doing so, Clark reveals himself—whether or not the light is favorable. Facing the facts recorded in his journal puts the older Clark in an eye-to-eye confrontation with his youthful, cocksure, egotistical self. Can either man deny the other? Clark’s prose is so distinct that it frequently made me smile. His sentences can be diagram-defying marvels of construction. He masterfully belittles people, places, and practices that he dislikes. He possesses a world-class intellect, but occasionally repeats himself. Despite the drawbacks, Clark’s six-hundred-plus-page memoir provided captivating reading over many long stretches. His feats continually raised the high-water mark of adventure that he set during his first month in country. 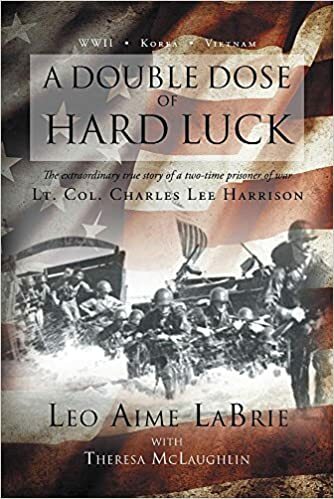 Leo Aime LaBrie, with help from Theresa McLaughlin, has assembled an extremely interesting history of prisoner of war life in A Double Dose of Hard Luck: The Extraordinary Story of a Two-time Prisoner of War, Lt. Col. Charles Lee Harrison (Page Publishing, 134 pp. $12.99, paper; $9.99, Kindle). The title speaks for the book’s contents: Charles Lee Harrison “had the unfortunate distinction of being only one of two Marines to have ever suffered captivity as a prisoner of war twice in two separate conflicts,” retired Marine Corps Maj. Gen. Orlo K. Steele writes in the book’s Foreword. During World War II, Harrison spent nearly four years (December 1941-September 1945) as a prisoner of the Japanese. During the Korean War, Chinese communist forces held him for six months in 1950. In 1965-66, Harrison served in Vietnam—where he was not captured. Harrison saw action in all three wars. 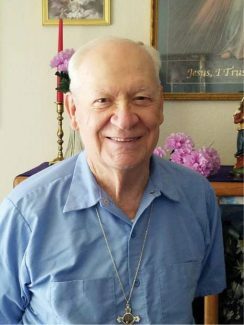 In World War II and Korea, he and fellow Marines fought for their lives against enemy forces that greatly outnumbered them. His first capture followed the siege and invasion of Wake Island by the Japanese. The second came when Chinese soldiers swarmed a truck convoy during the Chosin Reservoir campaign. An enlistee at age eighteen in 1939, Harrison’s career lasted until 1969 when he retired as a lieutenant colonel. Along the way, he received a battlefield commission as a second lieutenant. La Brie’s pre-World War II picture of military life—when a private’s pay rate was $20.80 a month, plus clothing allowance—provides a departure point for recognizing how much changed and yet remained the same after three quarters of a century. His main sources are a transcript of Harrison’s ten-hour oral history from 2002; history books; magazine and newspaper articles; and a 2015 interview with Jane Harrison Williams, a daughter. Gen. Steele personally recorded Harrison’s oral history. LaBrie, a U.S. Air Force veteran, recreates POW life by showing the extremes of stress and pain that men are capable of enduring, especially under the cruelty of the Japanese. He masterfully weaves Harrison’s reactions and observations into the history presented by other sources to give his stories an authenticity that drove me to read the book in one evening and the following morning. Harrison and fellow prisoners saw through the ploys and used them to their own advantage. An array of photographs shows Harrison at different stages of his career. Witnesses and their testimony form the foundation for good reporting. Former Marine Dan Moore presents a wealth of both as he reconstructs the meritorious life of his friend, Lt. Stephen Joyner, who died in action near Khe Sanh in South Vietnam in 1968. The book has three observers: Joyner, through letters he sent home; the interviewees Moore spoke to; and Moore himself, who recollects time he spent with Joyner. Steve Joyner possessed an all-American boy image with his positive attitude, football prowess at San Diego State, and physical strength. He bypassed a possible professional football career after becoming “the man of the family” following his father’s death at age forty-seven. Instead of playing pro football, Joyner enlisted in the Marine Corps after he graduated from college. Joyner and Moore became friends while serving in Vietnam at the same time in different divisions, which adds credence to Moore’s analyses of events that challenged the emotional stability of both of them. Moore draws vivid pictures of action involving Joyner in and around Leatherneck Square in I Corps as a member of the Third Marine Division. The discussion of relationships between officers and enlisted men should be required reading for new lieutenants—and perhaps certain captains, majors, and colonels, as well. Moore also dissects relations between new and experienced officers. 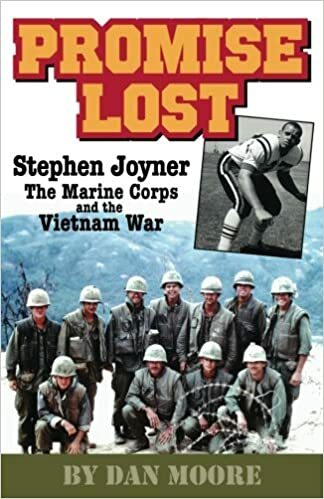 He explains how the enthusiasm that made Joyner a leader on his college football team did not work as successfully for him as a platoon leader in combat. Moore’s analysis of repetitive operational tactics provides more lessons in leadership. Moore writes about new lieutenants’ lack of political understanding about South Vietnam’s “corruption” and “support for reunification.” These shortcomings, he says, clouded their approach to the war and reduced their effectiveness. Overall, he clearly shows the good and bad aspects of leadership among Marines in I Corps during the height of the Vietnam War in 1967-68. Several segments of the book focus on Moore’s life more than Joyner’s. Moore served with the First Marine Division. Following active duty, he remained in the Marine Reserves and earned a doctorate in history. He then had a career with the CIA until retiring in 2014. During his 1969 tour of duty in Vietnam Michael H. Lee developed an interest in documentary photography. He came back to Montana after the war, went to school, got married, and got restless. So he and his wife signed up with the Peace Corps and went to Liberia. While there, Lee honed his photographic interests and skills. He lived first in the capital of Monrovia, then moved to the hinterlands. Both places offered rich subject matter, although each posed different challenges in approach and cultural sensitivity. A Silhouette of Liberia: Photographs: 1974-1977 (Sweetgrass Books, 124 pp. $59, lhardcover) is Lee’s second book documenting the people and culture of Liberia. This oversize volume contains nearly seventy images, some in black and white, but most in full color. The photos are accompanied by his notes and explanations of Liberian customs and culture. Lee was a serious student of Liberian folkways, and clearly takes pleasure in sharing what he learned during his years there—first with the Peace Corps, then working for a virus research lab. His photos are lush, insightful, and respectful. He notes that Liberians, while not vain, are proud. So, before he took his photos, Lee would wait, for example, for old women to put on their shoes and arrange their dresses. Lee is intent upon telling a loving, respectful tale, and he tells it well. Ron Milam, a Texas Tech University history professor who served in the Vietnam War and has written widely about it, has done an excellent job putting together the two-volume The Vietnam War in Popular Culture: The Influence of America’s Most Controversial War on Everyday Life (ABC-CLIO/Praeger, 772 pp., $164), a valuable collection of wide-ranging essays by more than three dozen contributors. The first volume’s entries focus on aspects of popular culture (primarily movies, music, television shows, magazines and newspapers, and fiction and nonfiction literature) that hit the scene during the war. The second volume looks at the same areas in the years since the war ended in 1975. Nearly all the essays are from university professors; more than a few teach at Texas Tech. The noted Vietnam War historian George Herring contributes an excellent introduction. Highlights in Volume I include Beverly Tomek’s hard-hitting essay, “‘Hanoi Jane’ and the Myth of Betrayal: The Cultural War on the Home Front,” and Roger Landes’ “Barry Sadler and ‘The Ballad of the Green Berets. '” As the author of the first biography of Barry Sadler (Ballad of the Green Beret: The Life and Wars of Staff Sgt. Barry Sadler), I am pleased to report that Landes—a music professor at Texas Tech who teaches the history of rock and roll—presents an excellent, in-depth look at Sadler’s song, which sold nine million copies and was the No. 1 single of the year in 1966. He used the best sources and his conclusions about why the song went viral twenty-five years before the birth of Internet are right on the money. The essay that stood out for me in the second volume is Lindy Poling’s insightful (and cleverly titled) “Encouraging Students to Think Outside the ‘Box Office,'” which reports on a survey of students who took her innovative one-semester elective class, “Lessons of Vietnam.” Poling created that course and taught it from 1997-2011 at Millbrook High School in Raleigh, North Carolina. In her essay, Poling reports on what her former students told her about their knowledge of the war before taking the class and how what they learned (from studying a wide variety of perspectives on the war, hearing from Vietnam War veterans, and visiting The Wall in Washington, D.C.) changed their perceptions of the war and those who took part in it. Poling found that 55 percent of her students “entered the course with Hollywood film and popular media-based preconceptions” of the war and its veterans; 25 percent had learned about the war mainly from their parents or other adults; and the rest knew “very little” about the war. What’s more, she writes, most of her former students no longer rely on Hollywood movies for their understanding of the Vietnam War. Marc Raciti wanted to commit suicide but could not make himself do it. Instead, he opted for “passive suicide” by repeatedly volunteering for deployments to hot spots where he hoped to “die with dignity” in “support of the Global War on Terror.” During his 1989-2013 Army career, Raciti, a retired U.S. Army Major, survived five deployments to Kosovo, Iraq, and on the African continent while his life turned increasingly unbearable. 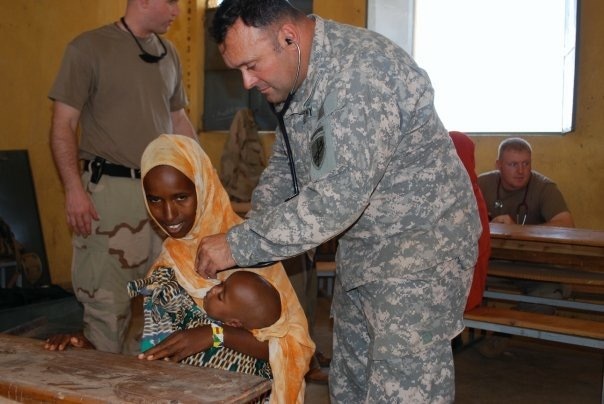 As an Army Physician Assistant who treated the dying and wounded, Raciti suffered guilt feelings for surviving while troops around him died or disappeared into the medical network without him ever knowing their fate. “I had cared for the wounded, mourned for the dead and consoled the survivors to the point that I was numb,” he says. In I Just Want to See Trees: A Journey Through P.T.S.D. (Jones Media, 160 pp. $9.99, paper; $5.99, Kindle), Raciti tells the story of personal agony that became PTSD during his twenty-four year Army career. He wrote the book in hope that telling how he dealt with his disorder might serve as a lesson for others with PTSD. The book ends happily. Raciti learns to control his PTSD with help from an enlightened wife, a caring counselor, and a service dog.